Recently we talked about simple toys for kids, which reminded me about this awesome and simple game. This basic Magformers Rainbow set with triangles and squares we actually didn’t buy for our daughter, but for the older nephew. I decided to do a review anyway, because he loved it. His parents even bought him another set so he can have more pieces and better building power. This set in rainbow colors has 18 squares and 12 triangles and it’s great for the beginning user. It appeals to boys and girls of all ages, but my girl was just one and a half when we bought that, so I wanted to wait a bit longer before letting her play with this. Magformers are really easy to use and I even I enjoyed playing with my nephew. There are endless possibilities to the things we can create with this! I like this kind of toys that are educational and fun experiences at the same time. This type of toys develop coordination and creativity and that is awesome. We even managed to build a rocket and beautiful colorful flower! I guess we’re that good (or my nephew is)! If you are a beginner, start with simple forms like cubes. Rockets will follow! The best thing is that kids really love Magformers Rainbow Set. It’s perfect indoor activity for rainy days… or alone activity when you just need five minutes to read a magazine or watch the new episode of Greys Anatomy! Ok, there is another best thing about Magformers Rainbow Set – you won’t find the pieces all over your house or vacuum them up, because all the pieces stick together in a lump (because of the magnets). I am definitely buying this for my daughter too for her next birthday. This set is excellent value and provides hours of fun. What can be better than that? to buy Magformers Rainbow Set on Amazon. 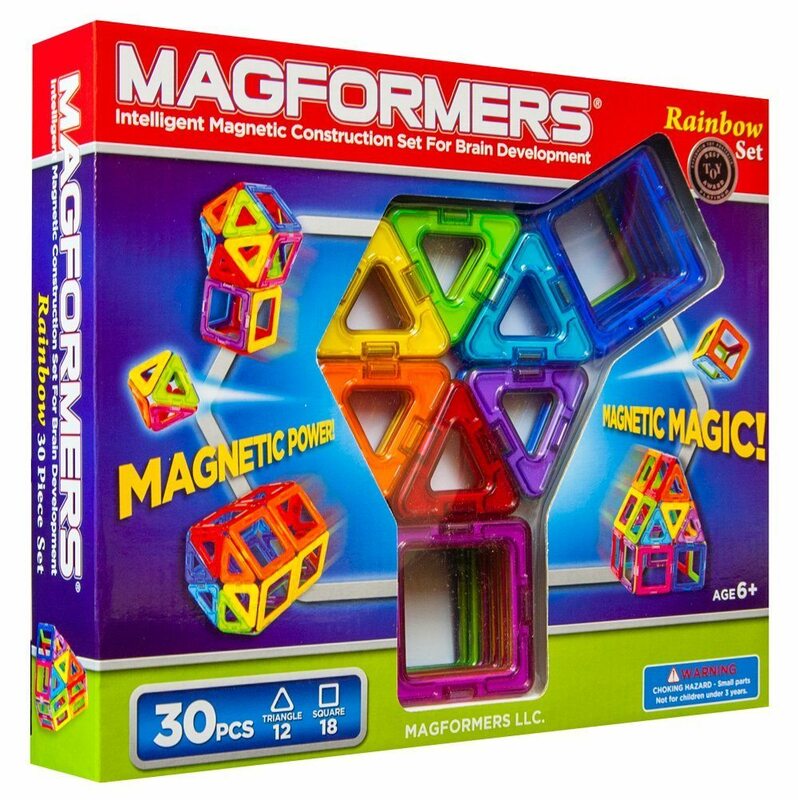 *And just for full disclosure, there are affiliate links in this post about Magformers Rainbow Set. This means that I’m sharing something that I think is helpful, and if you make a purchase through the link, I earn a little bit back. No extra cost to you, and just a little help for me to pay for the blog expenses. My kids love to build with Magformers. The things they can create are so unique. I really can put them in a room with a box of these toys and they will build for hours. I’m glad you liked them too! The school that I taught at has this, and the kids love it!